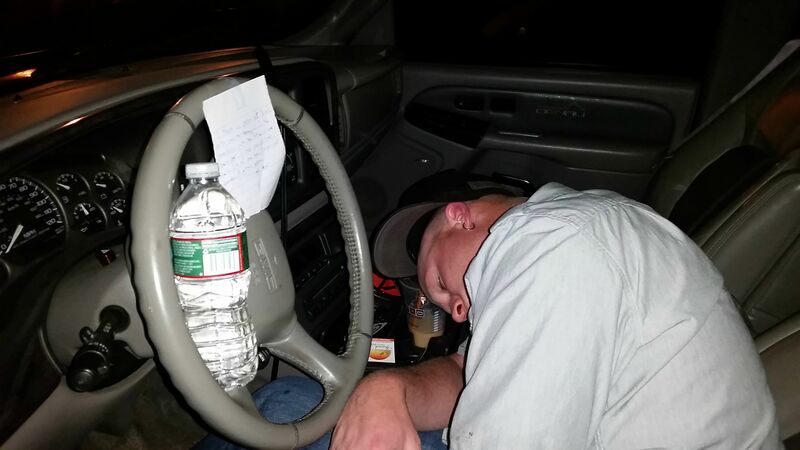 A Massachusetts man who apparently found a drunk man asleep behind the wheel of his car left him a note that has gone viral. 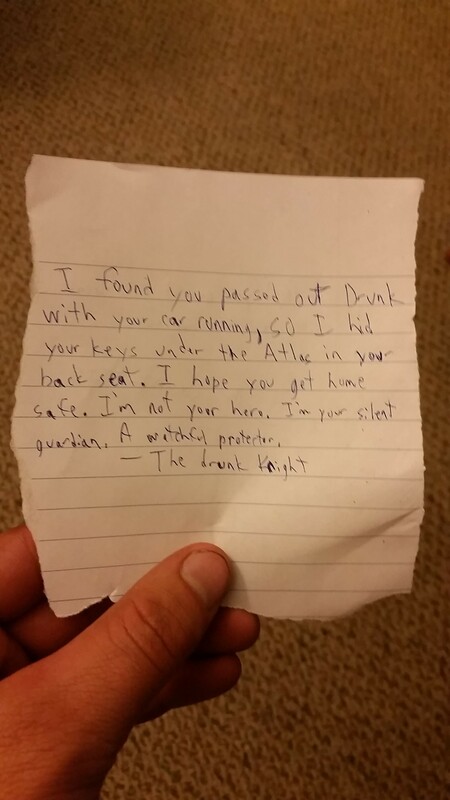 “I found you passed out drunk with your car running, so I hid your keys under the Atlas in your back seat. I hope you get home safe. I’m not your hero. I’m your silent guardian. A watchful protector. - The Drunk Knight." The self-titled “Drunk Knight” snapped a photo of the man and left a bottle of water on the steering wheel. The unidentified man posted photos of the incident to Reddit where it has received thousands of votes and hundreds comments.